Ja’mie: Private School Girl – What’s the Score so Far? 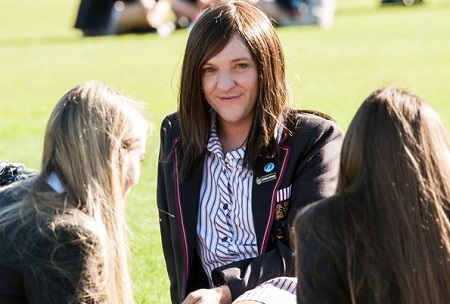 Three episodes in and, whenever I watch Ja’mie: Private School Girl, I can’t get the Marina and the Diamonds song ‘Primadonna’ out of my head, particularly the lyric, “The primadonna life, the rise and fall”. Not that I want the series to fail, mind you. Quite the opposite, in fact. In order for this show to succeed, I feel that Ja’mie has to, finally, experience a downfall. I keep anticipating it with every episode. Chris Lilley needs to make us feel something different towards Ja’mie other than outrage or incredulity. He needs to either give her a hint of sympathy or a lot of comeuppance in order for the series to be worth it. One of the reasons that Summer Heights High worked so well was that, while it had the shock and humour factor provided by all three main characters – Ja’mie, Jonah and Mr G – Lilley gave Jonah and Mr G something deeper. Mr G’s love for the arts and frustration at the lack of funding in the public school system, as well as his reluctant solidarity with Toby, the boy with Down Syndrome who idolised him, made Mr G a momentarily sympathetic character, while Jonah’s progress at the school’s remedial English class at Gumnut Cottage, respect for his teacher there, Ms. Palmer, and his ultimate expulsion and journey back to Tonga made the show’s audience unexpectedly well up. Ja’mie remained the sole character left as pure exaggerated parody. No lessons were learnt, no real humanity was uncovered and no chink in her armour was made. 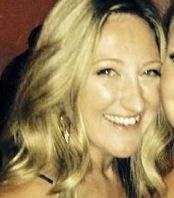 Even her exile to “no mate” status after her group of friends discovered her nasty MSN messages about them was shortlived – and she didn’t even apologise for it. After a spat with her boyfriend Sebastian, he still wound up taking her to the formal. She left the school telling her public school friends she’d call them without actually intending to, and went back to her old life unchanged. When I heard that Ja’mie: Private School Girl was in the works, I hoped that Lilley was using it as an opportunity, finally, to give Ja’mie her just desserts – or at least to make her eat humble pie. Three episodes in and the show is stomping familiar ground, focusing on the selfishly motivated charity work we were introduced to in We Can Be Heroes, her friendships and her chaste hooking up with one of the hottest younger guys at school. However, my hopes are still high. We have been introduced to her father, her father’s personal assistant and the boarders she loathes – potentially rich territory for exploring Ja’mie’s relationships with those she truly loves and hates, and setting up her downfall, finally, after 2 and a half series of setting up her rise. We did see a hint of this in episode three when a boarder called her fat. Before the dramatic, attention-seeking waterworks, the initial look on Ja’mie’s face showed an insecurity lurking inside. The head boarder holds the key to genuinely pushing Ja’mie’s buttons, and I’m excited to see where Lilley is going with this. It is also obvious that Ja’mie adores her father, so I am interested to see why Lilley has his attractive female assistant around all the time. Will Ja’mie’s vision of the perfect father be shattered? Will Ja’mie show compassion towards her mother at some point? Basically, something has to happen for her to admit, in a way, that she isn’t better than everyone else at everything. I’m hoping that Ja’mie: Private School Girl will be about the fall of Ja’mie – not be the fall of Ja’mie. If Lilley does nothing but mimic her storyline in Summer Heights High and We Can Be Heroes well, then, what was the point? To quote Ja’mie, seriously? Admittedly, though, Ja’mie’s slogan for her charity work – ‘A Boy in Need is a Boy Indeed’ – as well as her dancing skills almost make the whole series worth it.